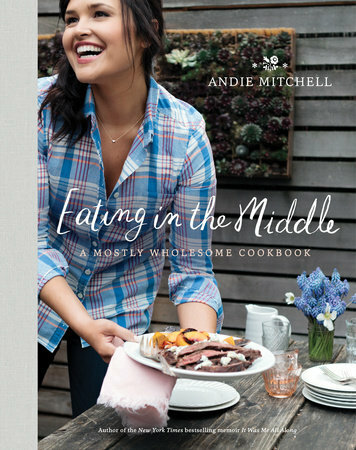 I had been waiting to get my hands on "Eating in the Middle" by Andie Mitchell for quite some time. I read her earlier New York Times bestselling memoir, "It Was Me All Along," and loved her writing, her outlook, and her story. When I heard she was coming out with a cookbook, I got super excited. Andie's cookbook is chock-full of reasonably simple, visually appetizing, and extra delicious meals that are overall really healthy. These are meals you'd want to make both mid-week for family or on the weekends for company. The instructions are clear, and the photos are beautiful. There are even helpful nutritional stats included as well! I would highly recommend this cookbook to anyone who's serious about getting healthy but not so strict that entire food groups are off limit. When flavor, quality, and simplicity count, this is the book for you!